Cardiff/Glamorgan, sponsored by LSC, claimed the MCCU T20 title by beating Loughborough by 18 runs then Oxford by six wickets on finals day in Leicestershire. The semi-final featured a hat-trick for Cardiff Met student Tom Friend. 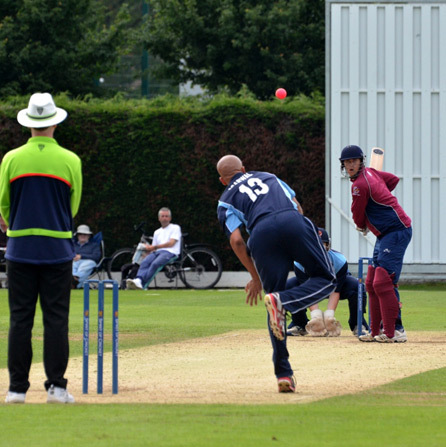 The team, part of the MCC Universities (MCCU) system, is focused on Cardiff Met's world class sports facilities and features players from that university along with Cardiff University and the University of Glamorgan. Cardiff MCCU director of cricket Kevin Lyons, based at the Met, said: “The squad deserves a huge amount of credit for this fabulous win as well as their exceptional achievements of the past few years. They have won 12 titles in six years and are rightly seen as among Britain's leading young prospects for professional cricket." The T20 final victory brought Cardiff/Glamorgan that MCCU trophy for the first time in the competition's five-year history. Previous Cardiff/Glamorgan wins have included the MCCU Challenge Final (2007, 2009 and 2011), the MCCU Championship (2007 and 2011) and the BUCS Premier A league title (2010). They have also gained ECB first-class status. Glamorgan CCC is fully supportive of the MCCU's work and the season sees Cardiff/Glamorgan play first-class counties. The intensive Cardiff/Glamorgan MCCU training and coaching is supervised by coaches and staff from the MCC centre of excellence based at Cardiff Met. Players have access to team and individual strength and conditioning programmes, performance analysis and specialised coaching. 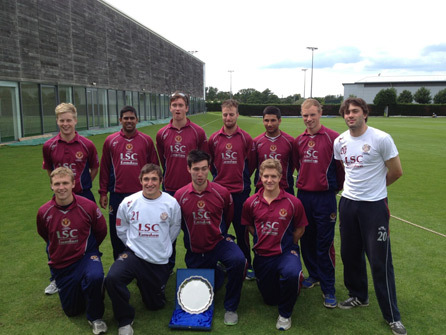 They qualified for this season's MCCU T20 finals day by winning their regional group in May. On finals day in Loughborough, they beat the hosts in the semi-final by 18 runs after compiling a competitive total of 165-7. Will Jones (Cardiff University) opened the batting and stroked a magnificent 87 which included three sixes and eight fours. Tom Friend (Cardiff Met) contributed a sound 25 not out. Loughborough replied with a sense of purpose but were dismissed for 147 with Friend ending the innings with a hat-trick. In the final, Cardiff clinched the title with an impressive and resounding victory over Oxford. Having dismissed their illustrious opponents for 113, Cardiff – skippered by Andrew Balbirnie, contracted to Middlesex CCC - reached their target comfortably with three overs to spare. Jones’ impressive array of front foot drives through the off-side saw him reach 32 and Friend made an unbeaten 22. Jones, contracted to Leicestershire CCC, was named man of the tournament. Coach Lyons, a former Glamorgan professional, said: "Those who work and play cricket at the Cardiff/Glamorgan centre have put the area very firmly on the university cricketing map; I salute them all. "This season's T20 tournament allowed us to display our skills in a highly competitive environment. "We produced consistency all through the tournament's four matches, with orthodox strokes, quality running, straight bowling and high-standard fielding. Our players fully deserved their win." 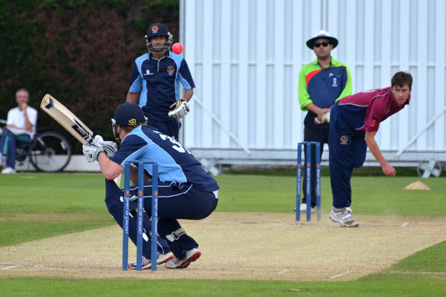 Cardiff MCCU have now won every available MCCU national title.